Magpies have been flying into my field of vision lately. 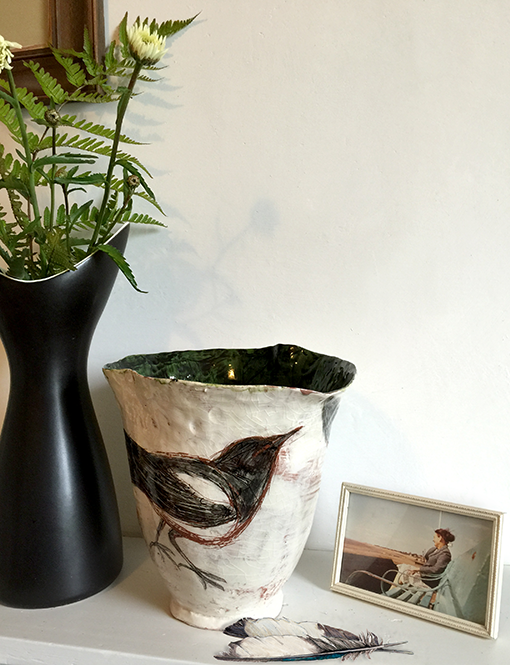 First on a amazing vase exhibited at my open studios a month or so ago by ceramic artist, Jacqueline Leighton Boyce (see below). Then last week I found a single feather across my path, I'm superstitious about Magpies - is that one for sorrow I thought? but when it was followed by a similar feather in the same spot a week later, I decided, two for joy! 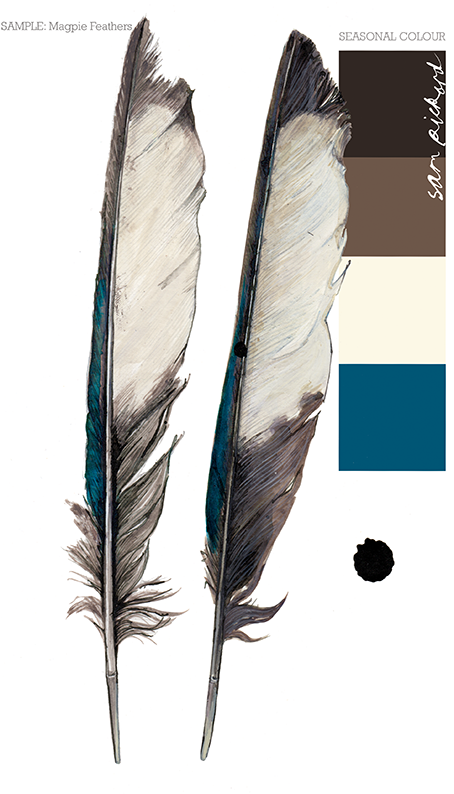 Colour wise I was astonished to discover an iridescent cyan blue edging the soft brown along one side of both feathers. I had to draw them because they were so marvellous.